"The team from Let's Paint Your Place are a group of very professional painters who are very passionate about their work. Starting from the selection of colour from the consultant to the delicate works around windows and rendering, the team has excelled in bringing out a fresh and modern look on a Californian Bungalow. We are very pleased with the result.Thank you once again." 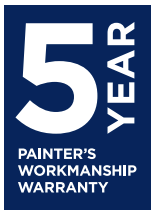 Let’s Paint Your Place has been operating since 1998, providing a quality painting service to Melbourne, Mornington Peninsula, Frankston and the bayside suburbs. Our goal is not only to help you design and realise your project, but to make the whole process easy and enjoyable for you.